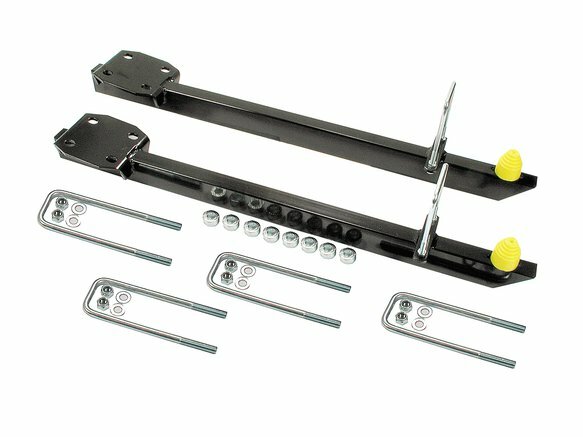 Lakewood traction bars are designed to increase traction by eliminating rear wheel hop, and engineered with an anti-dive bushing and loop system for improved braking and handling. Manufactured from quality square steel tubing and complete with snubber reinforcing plates for added chassis strength. The adjustable link allows more precise snubber adjustment for preloading of chassis to give superior handling under various street or track conditions. No special tools or welding is required for installation and all necessary hardware is included.